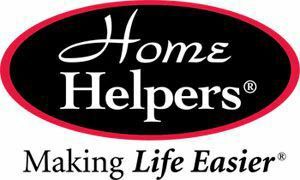 Home Helpers mission is to make life easier? by providing any type of non-medical in-home assistance - transferring, bathing/dressing, feeding, meal preparation, light housekeeping, grocery shopping, errands/transportation, medication reminders, and other tasks and/or chores, and always companionship. I, Jenn Hall, the owner of Home Helpers of SGV, have been a caregiver myself to my grandmother during her Alzheimer's, my father during his terminal cancer, to my husband during his debilitating stroke, and to my son with Autism. I have also hired caregivers when things just got overwhelming - before I started this business. I had to hire a caregiver for myself when a car wreck left me with a concussion, arm in a cast, and a newborn to take care of all day while my husband worked. I have been on both sides and I know what is needed. I only hire the absolute best caregivers that will take great care of our clients. At Home Helpers, we are here to help. We offer all types of packages/shifts (from a few hours a week to live-ins) to meet each individual's needs.